Vintage Couple Scroll Saw Pattern. 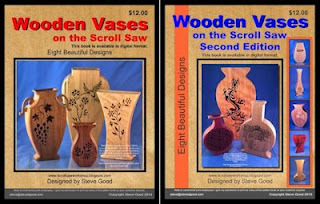 New products in the sawg store. 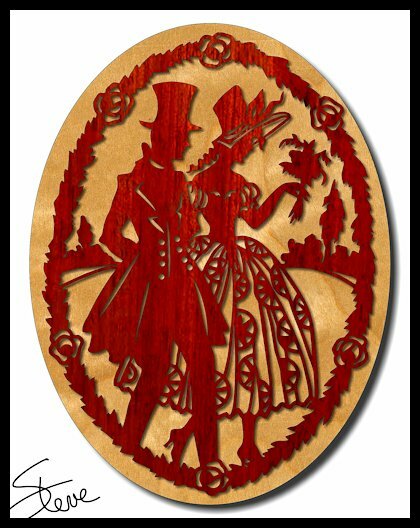 This vintage couple scroll saw pattern is almost eight inches tall. This could be a good pattern to use the RapidResizer tool on my blog. Make this 12 plus inches tall and it would make a nice piece of art work to hang on the wall. 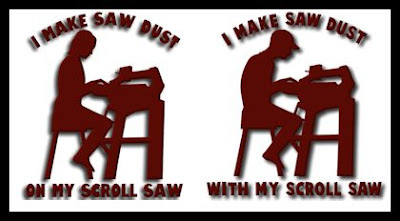 I updated my Scrollsaw Workshop Swag store with a new design and lowered the prices on every product. The new graphic is more generic than the other products. 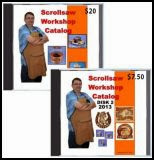 If you are interested in showing the world your passion for wood crafting you might like one of these products. 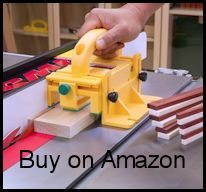 Click the image to visit the store. Thanks for your support. Guys I own the GRR-RIPPER and I can say without hesitation that it is the best push block I have ever used. The safety benefits of this product are top notch. It also makes many jobs more accurate.